The plaintiff’s mother testified that the pharmacist told her it was the pharmacy’s policy to inform the prescriber through phone or fax, but in this case there wasn’t any evidence showing that the prescriber was notified. Though the court points out that there is no law requiring the pharmacy to do this. The pharmacy’s computer system requires only one click of the mouse to make the notification happen. However, at the time of this incident the pharmacy did not keep records about its contacts with prescribers. Since the plaintiff in this case was 18 at the time of the initial prescription, and authorization is only required for patients over 18, she did not need the authorization. She was also able to refill the prescription at the appropriate time without issue. However, she turned 19 before the next refill. Around this time the plaintiff’s father contacted the prescriber approximately seven times to get the prior authorization. Without the prior authorization the plaintiff was not able to afford her medication. During this time period she ended up having a seizure and died. Her parents brought this wrongful death action against the pharmacy. In order to hold the pharmacy accountable for wrongful death, the plaintiffs need to prove that the pharmacy had a duty to the deceased and that they breached the duty. They also need to prove that the breach caused injury and damages. The crux of this case rests on whether – and what kind – of duty the pharmacy had to the deceased. The court here concluded that the pharmacy did owe a duty to the deceased, but that the duty was a very limited one. Specifically, since the pharmacy had “specific knowledge” about needing the prior authorization and the harm that comes from being unable to access needed medication is foreseeable. 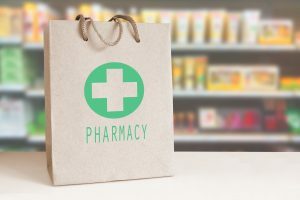 Thus, the pharmacy did have some kind of duty to the deceased and the case can move forward to determine whether they were negligent and thus liable. Contact an Experienced Massachusetts Personal Injury Attorney Today! If you or a loved one has been injured or died due to the negligence of another, the skilled Massachusetts wrongful death attorneys at Neumann Law Group may be able to help you recover the damages you deserve. Neumann Law Group serves Boston, Canton, Worcester, and other areas in Massachusetts. Schedule your free consultation today by calling (617) 918-7790 or use the contact form on this website.